If you lamented over Pierce Brosnan stepping down from the James Bond mantle, then never fear–he’s back, with another spy movie. The question is, is it a spy movie worth seeing? As the film progresses, an interesting story starts to unfold. Deveraux is charged with extracting a woman who has information on Federov, a Russian army general, who is guilty of some pretty heinous war crimes. It seems like a pretty black-and-white good and wrong scenario, but when Deveraux finds himself facing his young apprentice, along with the United States government, then traditional notions of good and bad guys don’t seem so simple anymore. That, in fact, is probably the film’s greatest strength. It causes you to challenge ideas of who the good guy really is and who the bad guy really is. That in turn brings up some interesting discussions for the Christian. Namely, where does our command to be submissive to the authorities run into conflict with morality, causing us to “obey God rather than men”? What impact does that have on our attitudes, and how do we maintain a healthy enough skepticism to see where that line is without disrespecting the authorities? 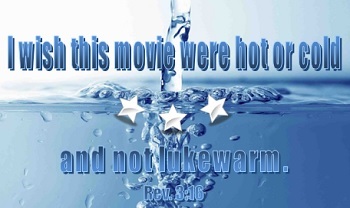 This film, not directly addressing Christianity, doesn’t give clear answers to those questions, but the questions that it does implicitly raise are thought-provoking. But here’s the thing: that’s basically every spy movie since 1980. Whether we’re talking about Goldeneye or Mission: Impossible or The Bourne Identity, the spy genre has made heavy use of that theme. So while those are thought-provoking questions, it’s not as though you have to go to this film in order to get them. So while I like those questions from a worldview perspective, I have to criticize the film from a film critic’s perspective in that it’s really just a regurgitation of the same things we’ve seen in this genre over and over again, making it a good example of why genre films as a category rarely get the attention of any awards outside of the dreaded People’s Choice Awards. It then becomes a question of whether the film is stylistically superior. It may be basically the same thing as James Bond, Jason Bourne, or Jack Ryan, but it does it do those same things better? It certainly does them more seriously; the film has a noticeably darker tone than the Bond films, something I would note as a positive. It takes itself more seriously than some films in its genre, and with good reason. It’s a serious story, even broaching the dark topic of sexual abuse. If you can be forgiving of the film’s profanity, then it combines with those serious themes an impressive array of action sequences, not to mention an absolutely phenomenal car chase, and a few twists that aren’t quite as obvious as your typical blockbuster. 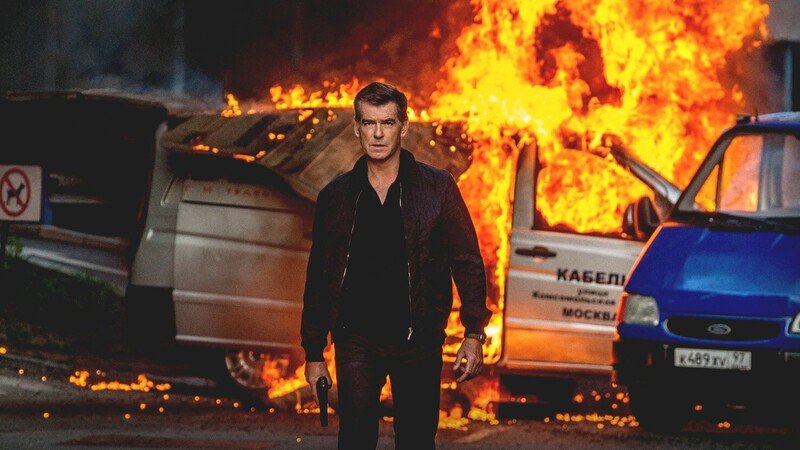 Is The November Man a bad film? No, I wouldn’t say that. As far as action films go, it has what fans look for: a somewhat believable conflict, a talented action hero, cool explosions, and a solid supporting cast. But just as I can’t really call it a bad film, I can’t justify calling it a great film. So if you’re bored on a Friday night, it’s a good RedBox rental. But don’t go in expecting it to be The Fugitive, or you’ll be sorely disappointed. Good review Logan. It has an odd tone that is serious and ruthless, but no real character to care about or root for. So instead, we’re sort of just left there with a blank slate of people shooting and killing one another, without us hardly being invested in any of it. That’s a lot of action movies anymore, unfortunately. It did have potential though, so I’m hoping the next Brosnan movie will have a bit more depth to it. I read recently that there might be a sequel in the works, so there remains hope for redemption, I suppose.